Although it was celebrated as such, many Buddhist laymen are confused as to how the Buddhist calendar marked the 2011 Vesak Poya as the 2600th Sambuddathwa Jayanthiya when the country celebrated the 2500th Buddha Jayanthiya in 1956 – just 55 years ago. They contend that there should be at least another 65 years to go before this event can be celebrated. In order to enlighten our readers about the difference between the Buddha Jayanthiya and Sambuddathwa Jayanthiya, The Sunday Leader met the Chief Incumbent Bellanwila Rajamaha Viharaya Ven. 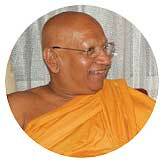 Dr. Bellanwila Wimalaratana Thero. According to Ven. Dr. Wimalaratne, Buddha Jayanthiya is calculated after the passing of Lord Buddha and Sambuddathwa Jayanthiya runs from the day Lord Buddha attained full enlightenment. “We celebrate the 2055th Buddha Jayanthiya this year. But Vesak this year is a significant occasion for Buddhists all over the world as we also celebrate the 2600th Sambuddathwa Jayanthiya,” said Ven. Thero. Ven. Dr. Wimalaratne said that this confusion wouldn’t have occurred among the Buddhists had the country not been invaded by the Dutch, Portuguese and British. He explained that before Sri Lanka was invaded, the term Buddhist Era (B.E- the time since Buddha passed away) was used to mark the calendar year. However, after invasions by foreign forces, and following the introduction of Christianity, Anno Domini (A.D, which starts from the time Jesus Christ was born) was used instead. He added that if Sri Lanka had continued using the old terminology, then 2011 would have been known to all as 2055 B.E. According to Ven. Dr. Wimalaratne Thero, apart from celebrating the Sambuddathwa Jayanthiya this year, two more significant occasions would be celebrated on Esala Poya day this year. This day marked 2600 years since Buddha delivered his first sermon. On Esala Poya day, Buddha preached about the betterment of mankind to the five ascetics at Isipatanaramaya. After this sermon these ascetics were ordained to the sanghahood and became his first five disciples. 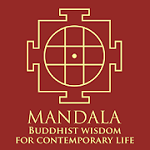 The formation of the maha sangha also took place 2600 years ago, in July, the Ven. Thero said. He added that he was pleased to note how Buddhists all over the country celebrated Vesak by respecting the teachings of Buddha through practice. 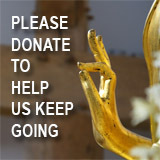 “We clearly saw how Buddhists from all walks of life observed sil in numbers which has never been seen before. This is encouraging,” the Thero said. He continued that Vesak was celebrated on a much larger scale all over the world this year. He pointed out that even the UN held a special session on May 17, to celebrate the day.